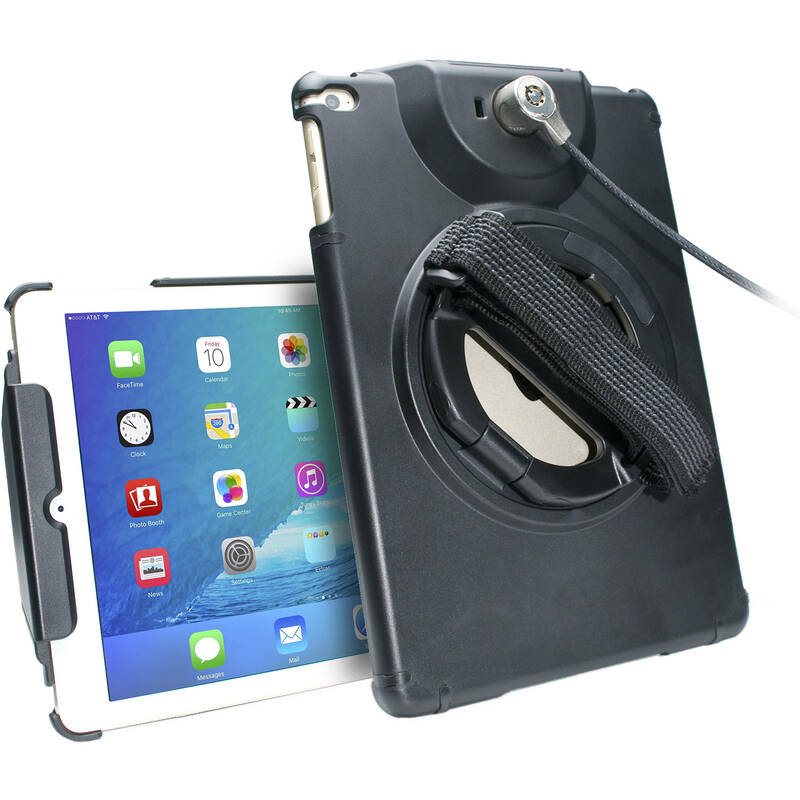 Keep your Apple device safe and secure with the Anti-Theft Case from CTA Digital. This tough, impact-resistant case is compatible with both generations of the iPad Air. It features a galvanized steel cable lock you can attach to a secured object to ensure your device isn't stolen. It's also equipped with a built-in grip stand that enables hands-free portrait and landscape viewing, and a hand strap that gives you extra hold when carrying the case around. Despite its rugged design and added security features, the Anti-Theft Case doesn't hinder performance or use—you still have full access to your device's touchscreen, ports, and camera. Additional K-slot on case allows for use with any standard Kensington cable lock (not included). Box Dimensions (LxWxH) 11.3 x 7.2 x 1.7"